by Robert E. Reed Jr.
New volume in Arcadia Publishing’s Images of America series. 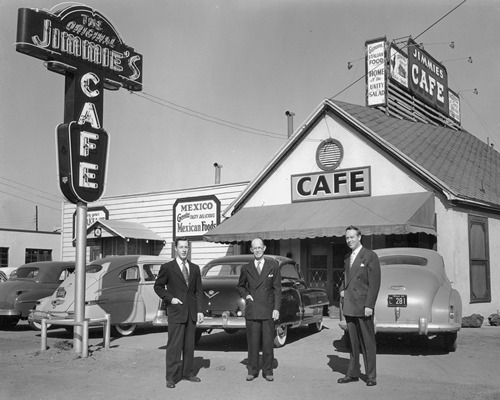 Arcadia Publishing has four or five series of books – all dealing with the photographic histories of various towns and cities across the country. History through postcards, Sports, Black history, Aviation, Universities, and the Images of America series. They publish hundreds of titles each year and to date, they have completed over 4,000 volumes. If they don’t have a book on your hometown, they almost certainly has a nearby town or a town where you went to college, were stationed in the military or simply were always curious about. Each book is a uniform size and format. Usually they are around 120 pages with two photos to each page. The subjects range from the familiar to the bizarre. Chosen by the author, they are frequently the kind of photos that one doesn’t find in traditional history books. 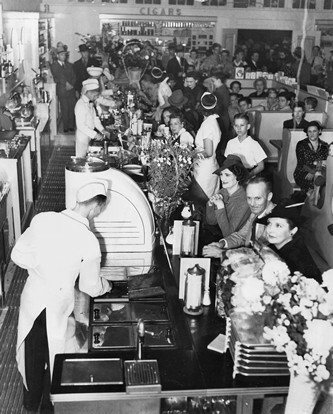 Storeowners, grand openings, long-forgotten modes of transportation, promotional photos and visiting celebrities create a local historical smorgasbord. Texas currently has a dozen or so titles. Since the publication of these books depends on a local author as well as a photographic collection, some of them overlap. For example Weslaco has a book as well as Hidalgo County. Temple joins the other towns of Brackettville / Fort Clark Springs, Del Rio, Waxahachie, and Weslaco, and the counties of Cherokee, Hidalgo County, and Wood. San Antonio has two volumes – both by our Conrtibuting Editor Mel Brown (A Postcard History of San Antonio and Aviation in San Antonio). Both San Antonio Volumes are now out of print. Copies are published in a limited quantity so it’s a good idea to order early. 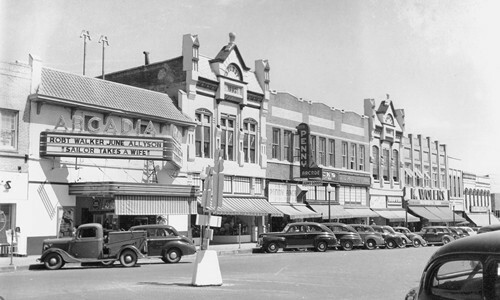 The Tyler volume covers the city from its beginning through the 1960s. From Camp Ford, a Confederate Prisoner of War Camp to Dorothy Lamour’s visit to WWII’s Camp Fannin. 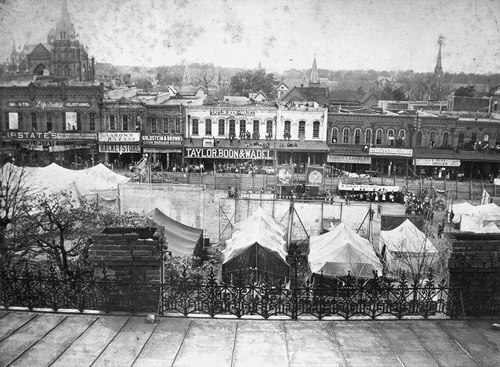 Also included are photos of the town trolley, a circus parade around the town square, the Fruit Palace, the East Texas State Fair, an aerial view of the dismantling of the former courthouse (perhaps the only photo of its type in Texas), the East Texas Rose Fair and Parade and the Tyler “Kid” Band – comprised entirely of children. And then there was the somewhat embarrassing incident where the town lake was drained by a break in the dam – leaving boats hanging from the pier and a driving platform looking down at a spongy desert. The author provides enough detail so that the town instantly becomes familiar – even to those who have never visited Tyler. 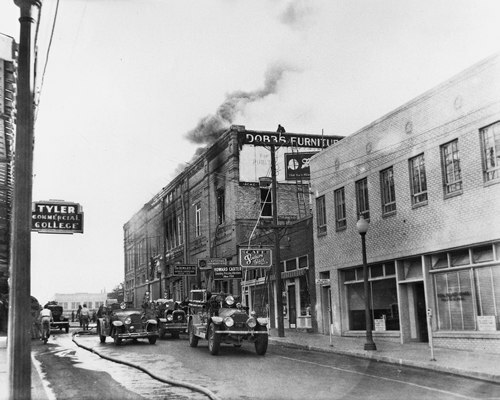 The Arcadia Theater(left) showcased the first talking pictures in Tyler in February of 1929. 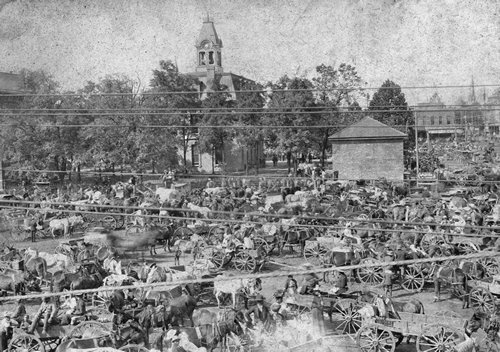 View of a circus parade circling the town square c. 1904 taken from the roof of the Smith County Courthouse. "A clock tower rising 65 feet above the ground was also added, though no clock was ever installed." 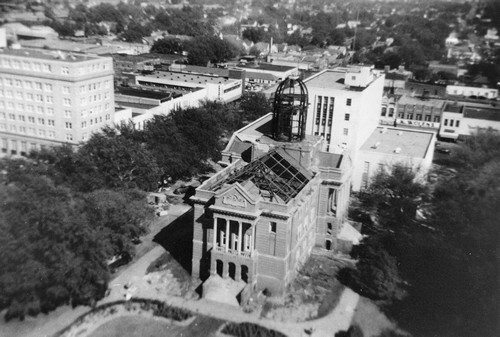 In what may be the only photo of its kind, the previous Smith County courthouse retains its dignity even while being dismantled in front of its replacement in 1955. 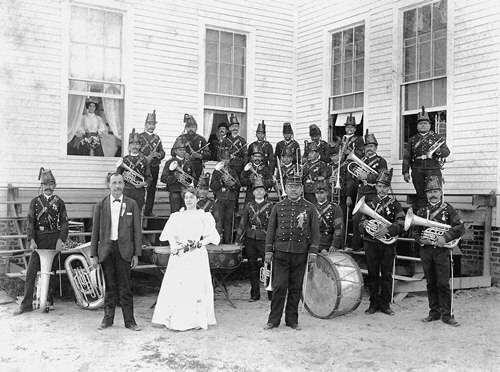 The Mexican Fourth Cavalry Band (Unmounted) added to the festivities of the Second Annual Exposition of the Texas Fruit Palace. The lady in white was popular local vocalist Minnie Jester. "Not only did they perform locally, but they were also very popular at Confederate veteran reunions all across the South. 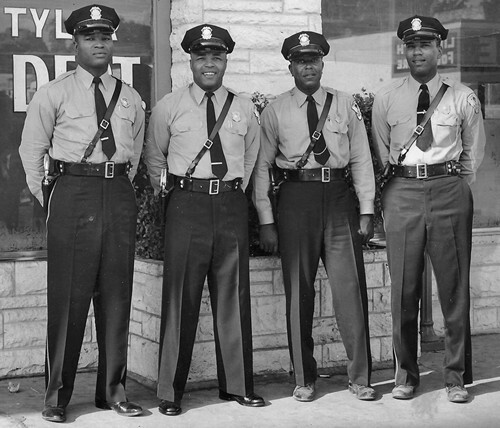 Due to aging, in 1916 the group became the Tyler Municipal Band." 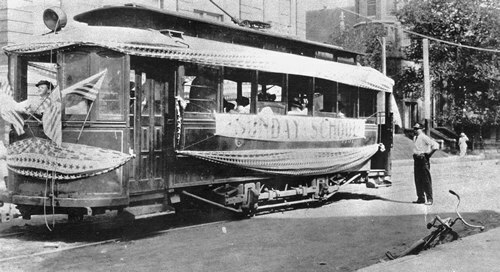 Streetcar above is on North Bois d'Arc Avenue, festooned with a banner for a Presbyterian Sunday School picnic. The line operated from 1913 - 1917. Natty owner James W. Prickett stands between two unidentified men that may be his sons. 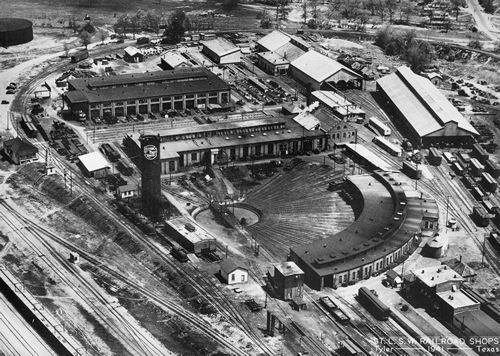 The St. Louis Southwestern Railroad shops, roundhouse and turntable, 1941. 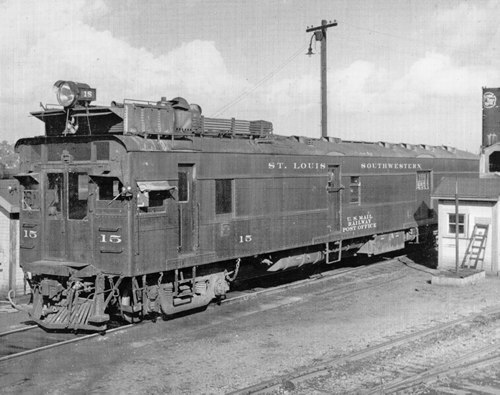 This single interurban car shuttled between Lufkin and Tyler, making two round trips daily. "The front third contained the power unit, the middle contained a post office, and the back was a passenger area." 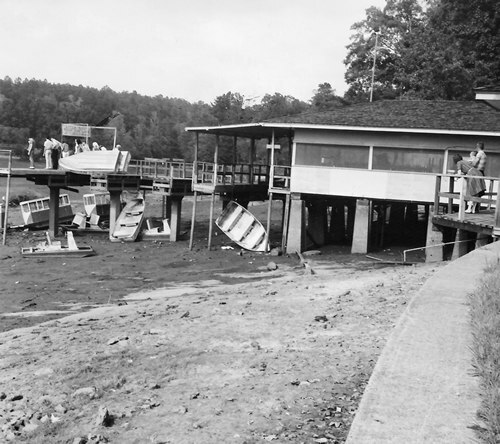 - Author Robert E. Reed Jr.
A breach in the Tyler State Park's earthen dam sent the contents of the lake into the Sabine River on September 12, 1963. Take advantage of a too-good-to-be-true offer. Local historians and / or curators should consider taking Arcadia up on their offer to publish these wonderful photographic town histories. The books can provide a fund-raising venue for museums and many out-of-print volumes end up selling for many times their purchase price.